Revealed at the PC Gaming Show, SEGA will soon release on PC Yakuza 0, Yakuza Kiwami and Valkyria Chronicles 4. Shenmue I & II will also make its way this year to the PC platform. Always wanted the Yakuza games on PC and this is a dream come true! Shenmue 1 & 2, and now Yakuza. Year of Dreams! So which one of these Yakuza games should one play first? Depends, the Yakuza fans are split in the middle as to which to play first, one half says Yakuza 0 since it's the first one in the timeline, while the other half says Yakuza Kiwami since it gives context to Yakuza 0. Your pick really. Personally, I'm going to start Yakuza 0 first. But if you want more detailed info, there's a lot of threads with pros and cons on which to play first. Well prequels are usually meant to be played in non-sequential order. 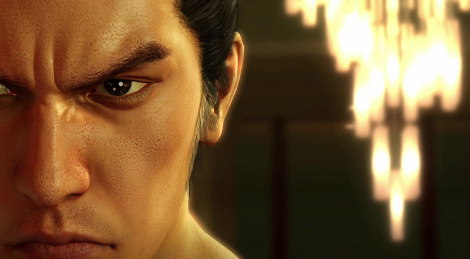 And if Yakuza 0 is also better, that's probably another reason to play Kiwami first I guess. mo one ver said start with kiwi. it's always START WITH 0. "Because you have the immediate choice, I'd for sure, 100% play Yakuza 0 first. Kiwami contains references and content linked back to 0, so play 0 first. 0 also has far more in depth tutorials that will help you understand how to play better than Kiwami." Already started this year with Yakuza 3 on PS3 and felt in love with the game. Amazing. I watched the "Previously on Yakuza 1 & 2" videos within the game which quickly updated me with the story so far. Now that the remix version of Yakuza 1 and Yakuza 0 is coming to PC, I can't wait.